There where close to 3 billion people on social media networks last year, and the number is only growing. Businesses that are not using it to their advantage in 2018, are missing out. When it comes to promoting your business, building your brand, and communicating with your customers, social media can be extremely powerful. One of the easiest ways to help grow your business is to utilize social media to your advantage. Here are some of the reasons why you should be using it for your business. The different platforms, and how to decide which is right for you. Using social media can also help with your local SEO as its another ranking factor google uses. Why? Well, nearly everyone is on social media nowadays. Obviously not everyone, but much of the population is spending vast amounts of time on social media. What better way to reach them than the very places they are already spending so much time in? Today, those most frequented places just so happen to be online. Since the beginning of the 2000’s social media has been quickly increasing at rapid paces and it only makes sense to use it to promote your business. For those who aren’t as familiar with all of the various social media networks available or how to use them specifically for business, it can be something never tried and the exponential success possible may never be reached. But social media shouldn’t be intimidating. When it comes to business consumers/clients like to see multiple networks being used. Which networks you choose is entirely up to you, but it’s always a good idea to choose at minimum two, up to as many as you can handle (or hire someone to handle). Either way, the benefits of social media for business shouldn’t be ignored. Sorting through the different options can be exhausting to those who aren’t familiar with them already. There are so many different platforms nowadays, it’s hard to know which ones to use, and how to use them effectively. The first part is understanding what each platform is primarily used for. Which platform your target audience is most likely to be using, and does it make sense for your business to be using those platforms. 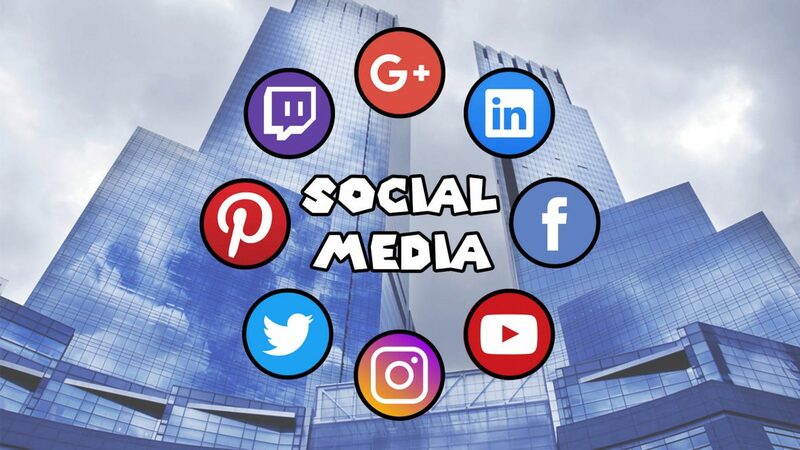 Here is a quick overview of the main social media platforms, and how they are used. Twitter is used for bite-sized content, updates and news. It’s a great way to keep your followers posted with brief updates or links to content that goes more in depth. If you are completely unfamiliar with twitter, you could think of it as like Facebook, but for smaller sized posts. Instagram is amazing for those who have beautiful photography to share. Whether you’re a landscaper or a book editor, you can find some way to leverage Instagram to work for you. Just remember that Instagram is photo-heavy. Users on Instagram are there to scroll through visual snapshots, not text, but you can post images that lead to content outside of Instagram as well. LinkedIn is great for those in the business world to connect (and possibly hire) others. It’s used more for other business professionals to network with people in their industry. YouTube is great for those who can offer something via video. It has become one of the best ways to generate organic traffic to your business, products, or services. It should definitely be leveraged, if possible. Pinterest is another very visual platform where people share photos and videos, and can also be very beneficial for a business. You could think of Pinterest as a place where everyone shares their internet bookmarks per-say, but they all have pretty pictures and videos. People “pin” things they like, want to share, plan to research more, etc. to there boards, or other users boards. Facebook is where people can post longer form content, share pictures, videos, and also is a great platform for posting updates, news, and interacting with your customers. If you could only pick one, Facebook would be the main place you would to have a social media presence, for your business. Even with the recent problems with Facebook, it’s still the most popular, closely followed by YouTube. Facebook is populated with more of the world than any other social network and the advertising system is both affordable and highly specific. They have done a great job collecting everyone’s data, as i’m sure you’ve heard in the news. That being said, you can pick and choose target audiences for each ad, determine which targets work better than others, and continue to adjust your advertisements to better meet the needs of your desired audience. Facebook gathers information about its users—from where and what they like to buy, to their hobbies and interests. When you target a specific group on Facebook (say you have a book design service you’re trying to sell) you are going to get better results because you’re focusing only on those who are already interested in your services (such as advertising book design to self-published authors). Other social media platforms do offer advertising, but they don’t offer the same level of specific targeting, as Facebook. It also depends on what your products and services are, and the goals you are trying to achieve. Figuring out where your target audience is, and the best possible way to reach them plays a major role in deciding what platforms to choose when advertising on social media. Social media is nowhere as intimidating as it may seem. The best thing you can do is sign up and start playing around with different features. Get your foundation built, go through some trial-and-error peaks and lows, until you discover the vast benefits for yourself. Social media is a phenomenal tool to build your business, but you’ll never know until you get started. If you have already decided what platforms you are going to use, hear is another article from inc.com going over 30 tips for using social media in your business.